I am a fan of all things finger food. And appetizers. I love appetizers. Seriously, I'd rather have a sampling of appetizers as my meal than anything else. 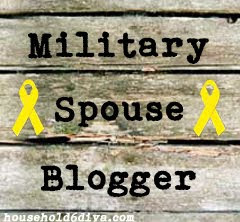 The Hubs thinks I'm a bit nutty, but he tolerates it. Especially since he gets to eat all of my appetizer creations. Melon and prosciutto are a common flavor combination in Italy. I took it a step further here, and the results were awesome. The best part is it's super simple to make, but party guests would think you slaved away creating this. I'm definitely making this for my next get together. 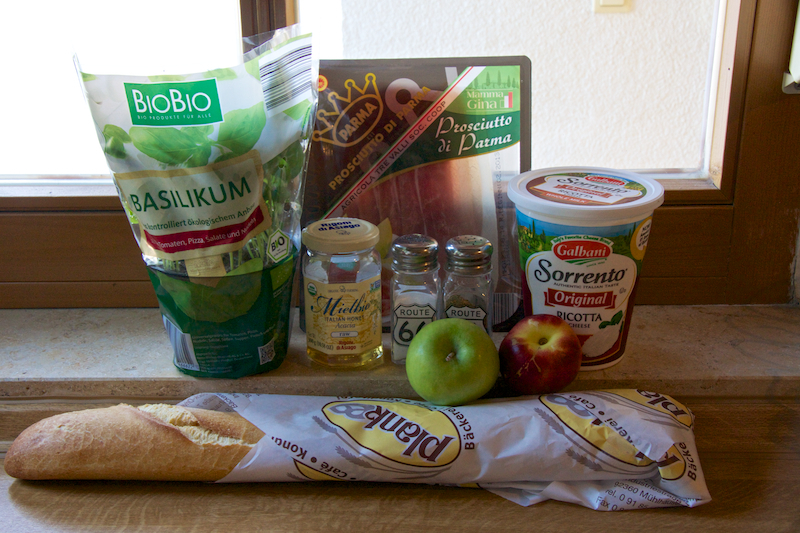 To get started, slice a baguette into 20-24 slices. I bought mine at our local bakery, but you can use one you've made from scratch as well. Brush one side of the baguette slices with butter (or spray with cooking spray). Toast under your broiler until lightly browned. 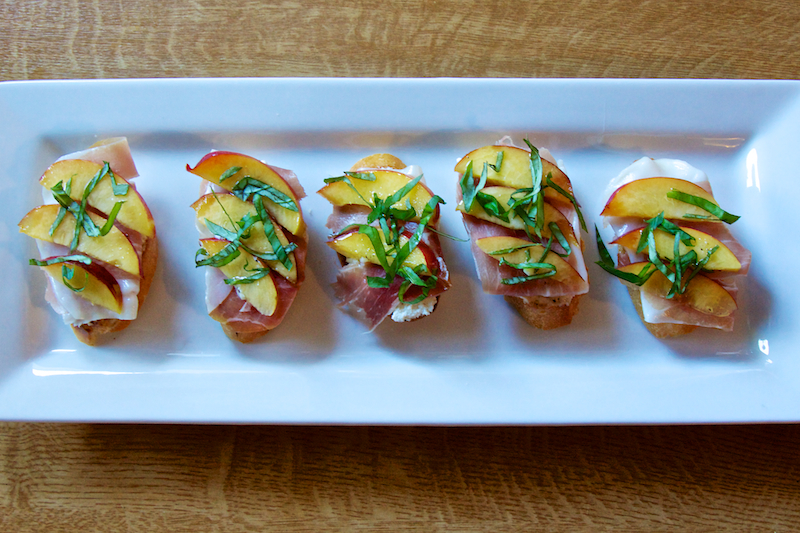 Let the crostini cool slightly, then spread ½ - 1 teaspoon of ricotta on each piece. You want a nice layer, not too thick and not too thin. Sprinkle with salt and pepper, then add ½ slice of prosciutto to each crostini. Then top with some sliced nectarine, about 2 thin slices per piece. Drizzle with a little honey, sprinkle with basil, and viola! You have magic.On some of my crostini, I replaced the nectarine with thin slices of green apple, and it was also magic, yay! This recipe is so simple, even the Hubs can make it! And it's delicious too. Try it out for your next party. Or, if you're like me, have it for dinner tonight. Until next time my friends, happy cooking! As always, the standard recipe is below. Brush the baguette slices with some butter, or spray with cooking spray. 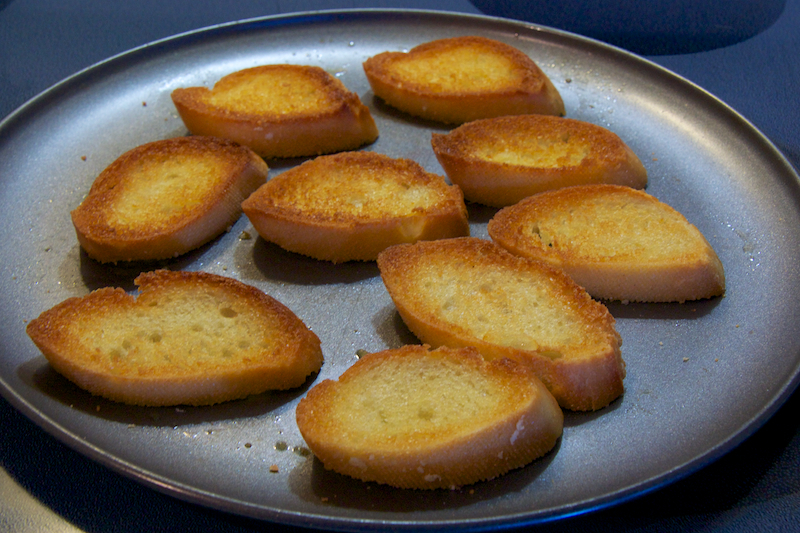 Toast the baguette slices under your broiler until lightly browned. Cool for a few minutes. Spread each baguette slice with ½ - 1 teaspoon of ricotta cheese. Sprinkle with salt and pepper, then top each crostini with ½ piece of prosciutto. 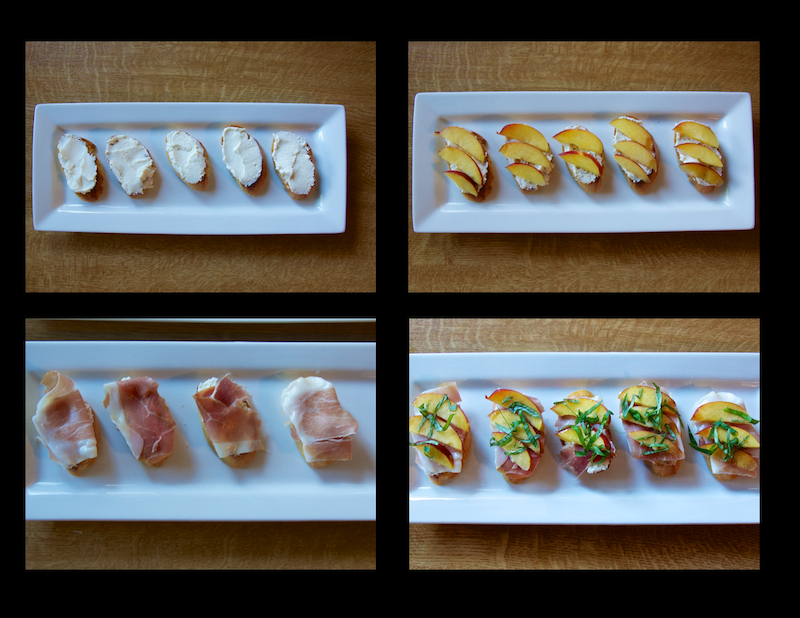 Evenly distribute your thinly sliced nectarines over the prosciutto. I usually have enough to use two slices per crostini. 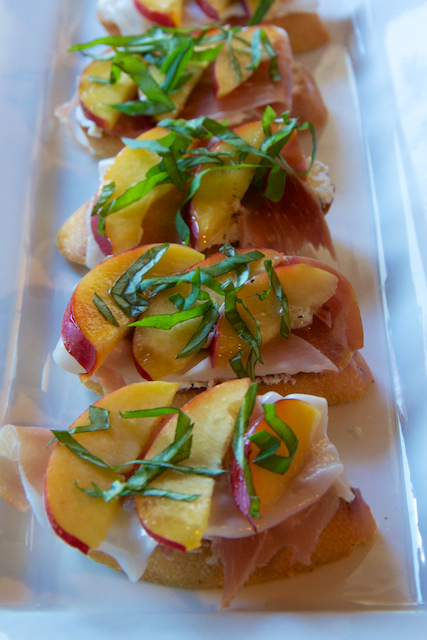 Drizzle the nectarines with honey, then sprinkle the basil over the top.